On January 7th, 2013, TheOneRing.Net author JPB published an essay titled Concerning Christopher – An Essay on Tolkien’s Son’s Decision to Not Allow Further Cinematic Licensing of His Work. 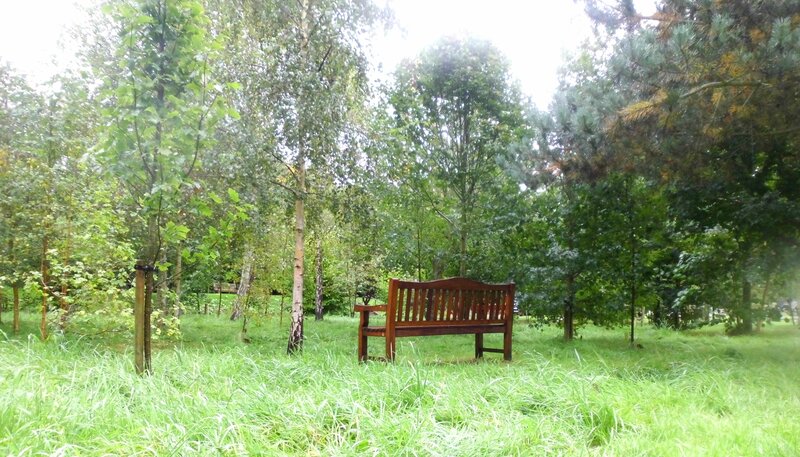 I was amazed at the assumptions, went quickly through denial, anger, bargaining, depression and acceptance and decided to write about it for a very simple reason – the aforesaid, to me very wrong assumptions. While I tried to post on some of the comments first I quickly realised that I had to write down my own position on this as a large number of comments displayed a lack of knowledge on some of the issues involved I would like to clarify. Casting a doubt on Christopher Tolkien. The logical fallacies. J.R.R. Tolkien, Peter Jackson and success. The legal situation, as seen from a layman’s view. The Silmarillion and the wrong medium to do it in. The Le Monde interview and its misappropriation. What next? What can fans do? What should you do? The essay starts with the assumption that we, as fans, should be able to determine whether Christopher Tolkien is the right person to make a decision when it comes to future film rights. In these few lines there are to me so many wrong things that even now I am trying to get a grip on the immensity of it. Let us forget for the time being that “Tolkien fans” and the “Tolkien community” have seen cataclysmic changes in the last fifteen years due to the films. Up until 2000 the easiest, quickest and likeliest approach to Tolkien would have been the books and the worldwide Tolkien societes – this has changed substantially. Huge websites such as TheOneRing.net sprang up, serving the needs of many who love the films (and nowadays being voted for as a community at the people’s choice awards.) There is no clear-cut ‘fan’ anymore, probably except for those who either say ‘I’m all for PJ’ or ‘I’m all in for Tolkien’ – and ignoring the other side of the coin. And a coin it has become, particularly with such discussions. Although I personally appreciate the films and many of the effects they have had very much I don’t see the films as adaptations – they are interpretations. To me there is only source to go to every day and this is the books. Absolutely, the answer is yes. With the possible exception of Rayner Unwin, who enabled the publication of The Hobbit, and supported Tolkien’s work and maintained a friendship with him from the age of ten until his death, there has been no bigger fan of J.R.R. Tolkien’s work than his son Christopher. there still remains the blemish of the question asked in the first place. If you take an interest in The Lord of the Rings, The Hobbit and other stories by his father and this interest goes a longer way than just having read them when you were a kid you cannot but end up knowing that the most influential and most important person on this issue is Christopher himself. And to make it clear fairly early on: No, I am not being paid by the Tolkien Estate (TE – see below for explanations.) I am not related to them in any way. I know of many stories from people I truly appreciate and consider true Tolkienists who have had their issues with TE. Their restrictiveness in all matters Tolkienian is an obstacle to many who would love to write about J.R.R. Tolkien and I am not in agreement with all of their decisions. However, connecting their restrictiveness with the question of Tolkien’s choice of naming his son his literary executor is outrageous. And calling him a ‘fan’ is proof again that JPB is missing the mark on some issues. Both personally and professionally, Christopher Tolkien’s connection with his father is clear. For more than thirty years he has taken care of publishing material related to Middle-earth and beyond; has passed on material to many others to have it published and is again releasing a new book in 2013, The Fall of Arthur. He is no ‘fanatic’ – he is an academic, a son steeped in the literature and the literary and professional background of his father who has taken on a task which by all means has to be considered a major challenge at least if not a burden. There is no fan fiction, no hysteria, no interest in public displays of affection or interest in fame and fortune – to him this has to be work. A most creative and challenging piece of work and a tremendous responsibility as he very well knows the inspiration and entertainment many people have drawn from his father’s writings. But let me make it sufficiently clear: Without Christopher Tolkien and the efforts of the Tolkien Estate we would not be where we are right now in Tolkien research and appreciation. J.R.R. Tolkien is the most successful author of the 20th century. J.R.R. Tolkien is the most successful author of the 20th century. J.R.R. Tolkien is the most successful author of the 20th century. Well, there is even a book called J.R.R. Tolkien: Author of the Century. A very good one. So, to make it absolutely clear: Tolkien had sold more than 100 million copies of The Lord of the Rings and The Hobbit before Peter Jackson ever started working on his projects. New books on Tolkien were coming out regularly (like Roverandom and The Children of Húrin) and with modern fantasy literature becoming a success (which to quite a degree is based on Tolkien’s success) there was no way in hell he would have been forgotten. And if I wanted to write an article about the accolades The Lord of the Rings won in several surveys before the films it would be just as long as this one. Right – more people have come to know Tolkien because of the films. I would say so, yes. And yes, there have been many new Tolkien societies founded and many more people are taking an interest in him. However, he did not in any way need the attention. He is a bestseller and will remain so. And don’t forget one thing: Peter Jackson did this project building on the success of its inspiration. What director would not jump at the possibility of telling the most popular tale ever published (yes, I know what hyperbole means)? Who would not work for this kind of success? So, to sum up: PJ has to thank J.R.R. Tolkien and not the other way around. To be fair, of course: The success of the film trilogies has promoted interest in Tolkien, as I have mentioned before, so both have had their benefits from their respective success stories. There is another logical fallacy to the question of future films being made. There are many people who obviously consider Peter Jackson to be the most enlightened, creative and outstanding director there ever was, is and ever will be. To again make it clear to you: I fully agree on Peter Jackson being one of the most creative, unusual and passionate creative minds in the film business. I would rank him higher on the ‘advances in technology’ scale and ‘change how film production are done on the go’ but then there is no doubt it that he and his team are professionals loving their job. Hell, I was part of a pyjama party on the Oscar(c) night when The Return of the King (The Lord of the Rings film trilogy) won eleven Oscars. We high-fived, we cheered them on, we had copious amounts of drinks which weren’t always non-alcoholic. Loved it. However, that doesn’t mean that these film trilogies are the best adaptations. In fact, I wouldn’t consider them adaptations at all but fan fiction put onto the big screen. Incredibly entertaining, fascinating, moving (not sure about The Hobbit yet but we have two more to go), well done indeed – but the best? Not at all. So why has nobody ever bothered to ask the question: Would the Tolkien Estate let someone else to do these films, particularly if Peter Jackson is not involved? There is a reason why Terry Pratchett has recently founded a production company for his material or why J.K. Rowling has made clear what she would like to have a hand in films on Harry Potter – influence on the outcome. Something which the Tolkien family does not have (see below for the legal complexities involved.) And if Christopher Tolkien’s reasoning is that the film business, particularly how it has dealt with Tolkien’s tales, is not a creative partner to work with – why should he? The only reason right now to have this issue is that the films have been made and will probably not be remade in the next five years – and we are stuck with them. Some of the current lincensees are named on another page including the musical, the Hobbit Stein Collection, Electronic Arts and, of course, Warner Bros. Interactive. So basically ME own the rights to all things LotR/Hobbit except for things where the texts themselves are concerned such as the books. This has been the basis for legal battles which have been going on for years: Middle-earth Network had to proclaim “Save the Shire” when it became clear that hundreds of names and titles like “THE SHIRE” would be trademarked (for a full list see the United Stated Patent and Trademark Office); the Tolkien Estate is suing Warner Bros. on its rights (a very good write-up on the Hollywood ‘make quick bucks then leave the rest to the lawyers’ film company scheme by Eric Wecks at WIRED) and has been doing so for years – and parts of this money will be going to the Tolkien Trust, a charity founded 1977 (the year of the publication of The Silmarillion) helping charitable causes. By the way, judging from its 2009 figures New Line Cinema will have paid some advance money on this. And things didn’t get easier when Gene Deitch of Tom & Jerry fame came clear some time ago that the film rights allegedly could only have been passed on by a scam which was kind of legal in 1966 … well, kind of. Read his delightful article here and don’t forget Czech illustrator Adolf Born. In the end it boils down to this: Middle-earth Enterprises (formerly known as Tolkien Enterprises) cannot use anything beside LotR/Hobbit. All the rest is either still with the Tolkien Estate and publishing houses like HarperCollins or with Christopher Tolkien directly as he is not only the editor of publications like The History of Middle-earth but also of The Silmarillion, The Children of Húrin and the upcoming The Fall of Arthur. End of legal line. Oh – the Tolkien Estate wasn’t lazy either: Shortly before the films came out they started their own trademarks on the name of TOLKIEN including the Professor’s signature. Probably just to be on the safe side for the legal battles in the years to come. A nightmare. So it’s not all that easy on the legal front. And it’s not the Estate who is fighting ‘evil’ based on an absurd logic: Their aim is to protect the literary heritage of J.R.R. Tolkien and not care about mega-merchandise deals for people who want to make a quick buck out of the most successful writer of the 20th century. 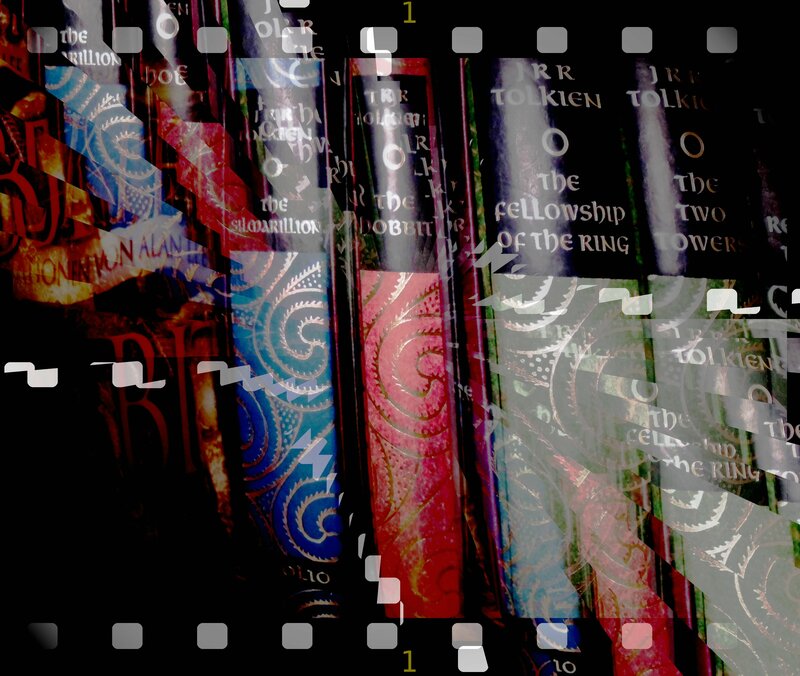 Because of the success of the film trilogies many people are hoping for other Tolkiens stories turned into film. This is quite understandable; who would not want to see Morgoth Bauglir on his throne underneath Thangorodrim; who would not want to catch a glimpse of Gondolin or follow the tragic story that is The Children of Húrin? However, as the rights to The Silmarillion rest solely with TE this will in all probability not happen, knowing how the family has handled the film question. But do we have to stick with a film or films? This is just a side issue but by now I am convinved that such complex stories as Tolkien’s (particularly because they don’t pay that much attention to the prevalent story arc concept – and yes, I know – somebody will try to prove me wrong on this ;)) should not be squeezed into a film but into a television series. Sorry, this was just an aside, but I’m completely amazed that loads of people stick with the film idea. Doesn’t have to be. Back to the topic. Imagine a world-class newspaper, its impressive size and open up a special issue of Le Monde Culture with beautiful pictures (including one of Tolkien’s chairs, yes, indeed ;)) telling a story of how a literary heritage is getting torn apart. How the author and his work is being snowed under by a multi-billion-dollar craze which is leading to an endless repetition of the same pictures, over and over again. Have you noticed how many people have painted Viggo Mortensen as Aragorn in recent years? Before the films painters chose their own Aragorn, now there seems to be only one (sometimes.) When you read the article you felt sympathy with the causes of Christopher Tolkien and would have gladly ignored any Hollywood blockbuster film for people actually reading the books. For all of you asking me to do a better translation: I did, together with fellow Tolkienists on the night after publication. However, due to financial and legal constraints we weren’t able to publish our version of it. And we will not do so unless asked by the copyright owners in question. If you happen to know someone from France – ask him or her to give you an idea of the differences. There are many. Well. There really isn’t much to do, legally. It is a minefield, battled over by companies and lawyers handling billions of dollars. Nothing your average Joe could have a go at – even though now we live in the age of social media and media-driven campaigns going viral when fans are unhappy. But there are certainly a few things the new community could think about. Everyone who has come to appreciate Tolkien because of the films: Welcome, wonderful to have you. Please don’t feel dismissed at all as ‘fans’ when discussions as these arise. There is a lot of passion involved when it comes to stories we all appreciate. Those of you who would want more films, write letters to all companies involved. Use sites like TheOneRing.net or Middle-earth Network to make your cause heard. But be aware that not everyone considers the film trilogies as they are to be the best there is. In fact, there are quite a few people including Tolkien scholars and experts from all over the world who would have wished for a better literary adaptation. If you are only after an entertaining film, why bother? Simply enjoy it. I don’t need a plush Gandalf but would probably go for a plush Smaug. To me the the most important enjoyment is that I have met thousands of people from all over the world taking an interest in the life and works of the late Professor John Ronald Reuel Tolkien, CBE. They come from all ranges of life, they have come to Middle-earth via the books, the films, the games – there are so many ways now to appreciate these wonderful stories. But in the end there is only one beginning: The books. Read them. They mean the world to me and I know I am not alone in this. UPDATE: This commentary was translated into French by Jonathan Fruoco and published on Tolkiendil.com on January 14th, 2013. I would like to thank Jonathan and Tolkiendil.com for making this available to the French-speaking Tolkien community. Bearing in mind that Christopher Tolkien has been involved in the stories for much longer than 30 years – he was, if nothing else, Tolkien’s cartographer. ” All the rest is either still with the Tolkien Estate and publishing houses like HarperCollins or with Christopher Tolkien directly” Thank goodness for this. I agree that the movies aren’t terrible – but they are a far, FAR, cry from the strength and power and depth of the books. Yet it is wonderful that so many people are coming to discover and enjoy Tolkien! Absolutely! I can’t stress it enough how great this is – and I am truly grateful to PJ and his team to do these films! No doubt about that. Yes, and CJRT is not only a loving son, but actually a contributor to the legendarium (beyond the drawing of maps). We have long known that JRRT valued CJRT’s opinion — there’s the letter about not changing the name of Sam without CJRT’s permission — but in the “Le Monde” interview is referred to a letter by JRRT asking CJRT’s advice about name formation: this goes directly to the linguistic heart and roots of the legendarium and if JRRT was actually actively asking CJRT’s advice or opinion in such matters, he let his son deeper into the creation of the legendarium than I had understood earlier. Had the legendarium been a modern scientific article, CJRT would have been a co-author (and with greater justification than some of those who are listed as co-authors in actual scientific articles). I am, of course, not suggesting that he should be listed as co-author of “The Lord of the Rings” etc., but rather that he was deeply involved with, and contributed to, the evolution of the legendarium, and his understanding of both the legendarium and of his father’s views and ideas about the legendarium stands on far firmer ground than the TORn essay even hints at. What irked me about the original post was the presumption that the author, or any other fan, would have the right to judge the choices of Ronald and Christopher Tolkien. Agreeing or disagreeing is fine by me — we can all have an opinion, but to presume the right to sit in moral judgement over the original creator and his son (and to some extent co-creator — J.R.R. sought the advice of C.J.R even on linguistic matters such as name-formations) is, in my view, highly inappropriate and disrespectful (rude, impudent, insolent . . . you name it). Christopher’s statements in the “Le Monde” interview seem to me to have been taken out of their context and blown up — not only in places where one might expect a certain animosity towards Christopher Tolkien, but also by people who profess a sympathy to his decisions, such as this “JPB”, who implies that Christopher Tolkien’s resignation and distaste applies to a book display in 1973, thus portraying Christopher’s views by setting up a comfortable straw man. My impression, however, is that Christopher Tolkien is referring to his father’s image in popular culture as monstrous, and that he laments the superficial portrayal of his father’s work (and of his own work) in popular culture (and the extreme unification, brainwashing almost, of the associated aesthetic). Popular culture will always be shallow, I suppose (it is a matter of being inoffensive to as many people as possible), but the immense success and popularity of Jackson’s films have aggravated the problem a hundred fold. It is this image of J.R.R. Tolkien and his work that Christopher Tolkien laments. Your last paragraph is exactly what Christopher said in the ‘Le Monde’ interview, only formulated in a very positive manner. It is quite a pity that exactly this paragraph is being misunderstood due to the English translation available on the web. I whole-heartedly agree with your words, Troels, thank you very much for your comment! Just wanted to comment on one part of this article. I was just talking to my wife about this very thing tonight. Calling a film adaptation of a book “Fan Fiction.” Doing this has seemingly become very popular, but is disingenuous to both film makers and writers of fan fiction, which both do two very different things. Fan fiction, as I understand it, may or may not happen in the same universe, or on the same timeline, as the original work. But it’s not a retelling of the same story. Film makers adapt stories for the big screen. A thousand fans of any book would create a thousand entirely different films (and for that matter, a thousand staunch purists would create a thousand different films). Another point on this matter is that, when it comes to film and TV, a screenwriter essentially can only get a job at a studio by proving themselves by writing what is essentially “fan fiction.” They write a spec script of a new episode of a show that is currently on TV. That’s what I feel fits the mold of “fan fiction.” I would prefer it if the word “adaptation” was used instead. It shows respect for all involved. I appreciate the fair and thoughtful consideration of my own thoughts, Marcel. Thank you. When I read your closing sentence, I would have swapped the terms in parenthesis, which is what I was kind of referring to. A “full-fledged individual and original piece of work” (fan fiction) vs. trying to stick to the books and emulate some of their atmosphere (interpretation). For instance, if Peter Jackson’s The Lord of the Rings films featured all of the characters, in Middle-Earth, but instead of going on an adventure to destroy the Ring, they spent their time baking, singing and watching Lost on DVD. And it is much more fun if people have things they can disagree upon! If we were all of the same opinion life would be rather boring. However, having said that some of the commentaries at the TORn website on the original essay are completely outrageous and a proper discussion no longer possible – that is why I wrote my own piece on this page. As someone who has actually made a full-length fan-fiction film based on The Professor’s writings (at the insistence of my then 12yr old daughter), I totally understand both sides of the issue. 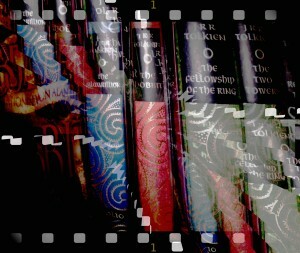 I came to know Tolkien thru the books in the ’70’s. My daughter came to know Tolkien first thru the PJ films, then the books. Once she read most everything, she wanted more. So we made more (staying withing the “canon”) and out of a love for both the books and films, made our own film. Tolkien’s universe is just so rich that way – it makes you want to be a part of it. I wonder what to do with such as Yisroel Markov’s “The Last Ringbearer” that retells the story of the War of the Ring from Sauron’s perspective? Is that fan-fiction? Or is that an adaptation of some other kind? In many ways, this is, in my opinion, much closer to what the Jackson films have done — they are retelling the stories from a completely different perspective (ethically, philosophically, aesthetically, …) — a change that goes, in my experience, far beyond the normal ‘retelling’ variation (which will generally retain the ethical, philosophical and aesthetic viewpoint of the original). Kirill Yeskov’s “The Last Ringbearer” would be considered “fan fiction” to me. It’s not an adaptation because it doesn’t follow the characters, events and locations from the book. Consider “Ender’s Game” and “Ender’s Shadow” as a point of reference. Or how about this, something that I know more about is Star Wars. Let’s say that the Star Wars Trilogy was released first as book, and Lucas’ films were just adaptations of those books. I come along and decide that I’m going to write a book called “The Last Sith Lord.” I write the story from Darth Vader’s perspective. It’s the same story as the Star Wars trilogy, but because it will include other characters, locations and events, it’s entirely not the same thing. In fact, the reversal of protagonist/antagonist itself would make it a fan fiction. Jackson’s work doesn’t change who the protagonist is, nor really the antagonist, making it an adaptation to me. Side note: the ethics, philosophy and aesthetics of the Lord of the Rings were all the same, to me, as in the book. I share Tolkien’s religion, and have found that to be the case for me. I have heard others say otherwise, but it just doesn’t make sense to me. I remain unconvinced and wouldn’t dream of thinking otherwise as I consider it to be the finest achievement in motion picture history. But, like all that I’ve written above, that’s all my own perspective. Just as an aside: I love the films and am very appreciative of them – if judging them as films in their own rights. However, this is a completely different perspective from a literary adaptation. Film is its own medium, with its own advantages and disadvantages, and the decisions made by PJ’s team and himself were quite obviously made by professionals willing to do an amazing project – not doubt about that. But there has to be a differentiation in watching the films as a film critic and a literary critic. Both media interact, obviously, but the judgment is achieved from a completely different angle. They are not necessarily compatible which does lead to major misunderstandings. Thank you, Marcel, for writing this! You have put the original essay on TORn in a somewhat different perspective for me, but I agree with virtually everything you’ve said. Yes, you are quite right in saying that much more can be said on several of these points, but this was the kind of reply that was needed speedily. On another point (well, related to at least three that you are making), I am somewhat miffed by the discussion flaring up on the Tolkien Society’s fb-group again on different kinds of fans looking down on another. It is beginning to look as if we Tolkienists are not allowed to take our hobby and interests seriously — let alone to express them in different manners. I have not mixed in this discussion and other recent versions of it, as I lack the time for a reasoned treatment and don’t want to rant, but it is certainly starting to rankle with me. Hi Jason, this is truly appreciated. Thank you, enlightening as ever.